This is a special announcement in place of our regular show. Steve announces a change in our format and our production schedule. Our future programs will be presented in a longer format on roughly a monthly schedule. We expect to release the first in our new series of programs in December. 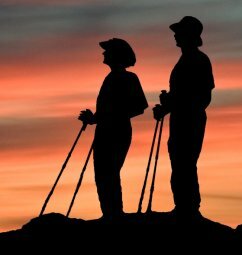 Julianne Abendroth-Smith talks about the results of research into the effects on the body of hiking with trekking poles. She's a biomechanics professor at Willamette University in Salem, Oregon. We hear from Jayah Faye Paley, an author and educator, and co-host of an educational DVD, POLES for Hiking, Trekking & Walking. Jayah's web site, Adventure Buddies, provides more information about her educational products and services. Jayah describes basic skills for using trekking poles. Julianne Abendroth-Smith updates us on the very latest scientific results about the effectiveness of trekking poles and the effects of using them. Steve talks to Julianne Abendroth-Smith of Willamette University in Salem Oregon. 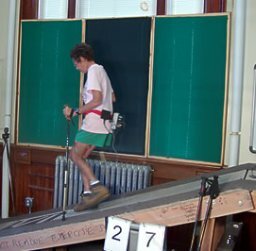 She's a biomechanics professor studying the physics of hiking, and how hiking with various poles and walking sticks affect the body. Steve talks to Jayah Faye Paley, an author and educator, and co-host of an educational DVD, POLES for Hiking, Trekking & Walking. Jayah's web site, Adventure Buddies, provides more information about her educational products and services. We'll hear more from Julianne Abrendroth-Smith and Jayah Faye Paley in part two. We'll find out Jayah's techniques for using poles, and we'll update you with the latest scientific research about those techniques. 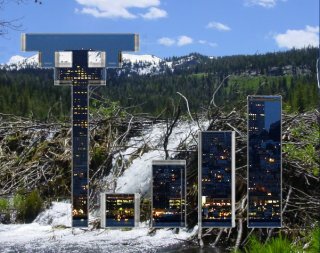 In this wild places program, Guest Correspondent Kurt Repanshek investigates the changes coming to the greater Yellowstone ecosystem. 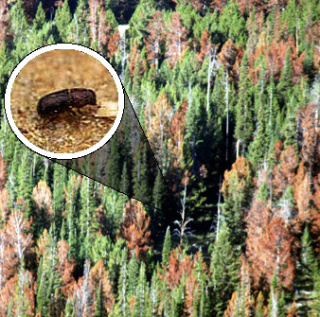 Kurt explains how the mountain pine beetle is affecting the white bark pine trees, and man animals and people who depend on these trees. Why is this beetle a growing problem now? We also hear from Dr. Jesse Logan, a recently retired U.S. Forest Service entomologist, Diana Tomback, a biology professor at the University of Colorado in Denver, and Louisa Willcox, a senior wildlife advocate for the Natural Resources Defense Council. You can read more reporting by Kurt Repanshek at his National Parks Traveler web site. This skills program presents skills for building primitive shelters. This is the fifth in a series featuring primitive technologies experts from Primitive Ways. Other shows in this series are edition 141, First Skills, edition 146, Starting with Fire, edition 150, Ancient Firemaking, and edition 155, Primal Grooming. Using primitive tools and natural materials, naturalist Norm Kidder explains how to choose a sheltered location, demonstrates how to cut wood with a rock, and describes how to build a basic lean-to structure. 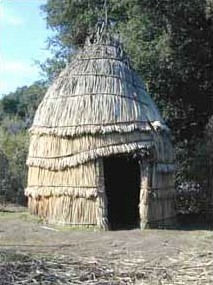 The Primitive Ways website has many articles on primitive shelter construction. Another source of information on primitive skills is the Society of Primitive Technologies. This gear program presents the first of our new series of gear reviews. Now, more than ever, our gear programs depend on your participation. Steve talks to Backpack Gear Test founder and publisher Jerry Goller about the new relationship between Backpack Gear Test and the WildeBeat. Richard Lyon reviews the Ryders Eyewear Intersect sunglasses. 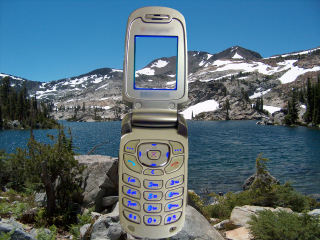 Listeners respond to part one with their opinions and experiences using communication devices on wilderness trips. Derek Moore, SPOT LLC's manager of marketing and public relations, and Gregg Fauth, Sequoia and Kings Canyon National Park's wilderness manager, discuss the difference between a "challenge" and an emergency. Paul Magnanti and retired wilderness manager Laurel Boyers tell how they see a change in back-country use. In part one of this wild places program, Assistant Producer Kate Taylor presents the pros and cons of using communication devices in the back-country, a topic that has sparked controversy among outdoor enthusiasts. Blogger Paul Magnanti shares an essay he wrote about the issue, and Derek Moore from SPOT LLC comments on his company's device, the SPOT Satellite Messenger. 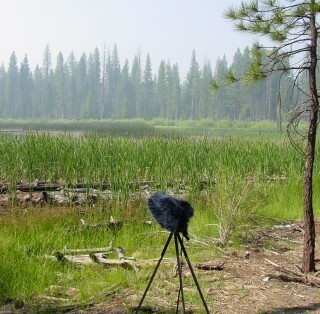 Gregg Fauth and Laurel Boyers, both wilderness managers of national parks, tell how communication technology has changed the wilderness experience. To read Paul's essay and about his outdoor experiences, titled The Changing Culture of Connectivity, visit his blogsite at PMags.com. Next week, in part 2, we'll hear more from Gregg Fauth and Paul Magnanti, and find out what types of situations warrant the use of communication devices in the back-country. This skills program presents primitive skills for personal grooming. 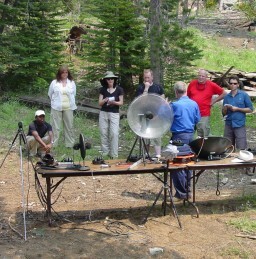 This is the fourth in a series featuring primitive technologies experts from Primitive Ways. Other shows in this series are edition 141, First Skills, the edition 146, Starting with Fire, and edition 150, Ancient Firemaking. Using primitive tools and natural materials, naturalist Sue Labiste demonstrates how to soap up, perform dental hygiene, and give yourself a manicure. 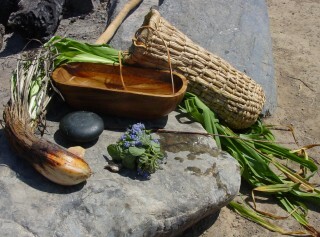 The Primitive Ways website has many articles on primitive health care and grooming. Another source of information on primitive skills is the Society of Primitive Technologies. This skills program presents the Leave No Trace principle of Be Considerate of Other Visitors. This is the fourth and final edition in a series featuring the Leave No Trace traveling trainers. We hear J.D. and Emily in several situations where someone didn't consider this seventh principle of Leave No Trace. J.D. and Emily summit a peak, encounter a cyclist on the trail, and try to get some sleep in a campsite. 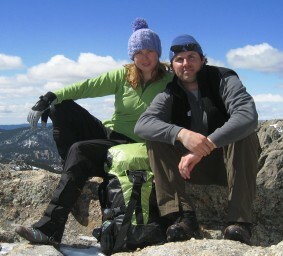 Emily and J.D., along with the other Leave No Trace traveling trainers, maintain the Traveling Trainers Blog. The music from the party in the adjacent campsite is Why don't you tell me by the band One Day Remains, available from the PodSafe Music Network. Steve attends an orienteering meet organized by the Bay Area Orienteering Club at California's China Camp State Park. Long-time club member Terri Ferrah explains the e-punch system used to track progress on an orienteering course. Tyler Atherton and his fellow Boy Scouts take off on a beginner (white-level) course. We hear from Mikkel Conradi, who designed the course and the map using O-CAD software. Erin Majors from Roseville, California, and Dana Koontz from Larkspur, California, talk about their experiences orienteering. Gary Kraght, a past president of the United States Orienteering Federation, sums up orienteering's wide appeal. If you really want to master map and compass navigation in the wilderness, then orienteering is one of the best ways to learn. You can find a local club through the United States Orienteering Federation. WildeBeat members can download a compete recording of Scott's 12-minute beginner's clinic from our WildeBeat Insider web pages. This outings program is part one of a look at the sport of orienteering. You'll win this race by getting lost the least often, because it's all about your navigation skills. 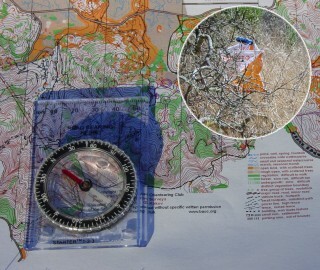 Participating in orienteering events can significantly improve your backcountry navigation skills. Steve attends an orienteering meet organized by the Bay Area Orienteering Club at California's China Camp State Park. 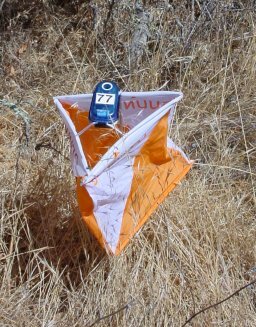 Gary Kraght, the vice president for club services of the United States Orienteering Federation explains what orienteering is, and its history. Scott Aster presents a beginner's clinic for first-time orienteers. Next time, in part 2, we'll listen-in on the experience of orienteering. This gear program is a report on the 2008 Outdoor Retailer's Summer Market. What gear will BackpackGearTest be reviewing for next summer? Volunteers Rick Allnutt, Christopher Nicolai, and Ken Bigelow report on the most interesting gear they hope to test for BackpackGearTest.ORG. They comment on products by: GoMotion, Ultimate Survival Technologies, Gerber, Bushnell, Sigg, Insect Shield, and the Therm-a-Rest division of Cascade Designs. WildeBeat Members can download the entire reports from the BGT testers from our WildeBeat Insider web pages. Naturalist Dino Labiste talks about the three methods prehistoric humans used to make fire. He demonstrates creating fire by friction using a hand drill. He talks about two other methods, fire by percussion, and fire by compression. He explains what would be the best of these techniques for you to use if you had no modern choices. 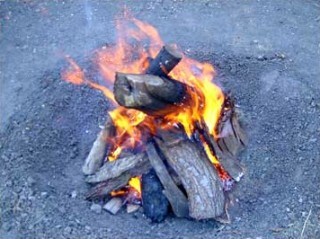 The Primitive Ways website has many articles on primitive fire skills. Another source of information on primitive skills is the Society of Primitive Technologies. WildeBeat Members can download a recording of Dino Labiste's complete firemaking demonstration from our WildeBeat Insider web pages. This skills program presents a training talk and demonstration on disposing of waste properly in the backcountry. This is the third in a series of editions featuring the Leave No Trace traveling trainers. Steve recorded J.D. Tanner and Emily Ressler giving their regular presentation of the third principle of Leave No Trace, Dispose of Waste Properly. This is an important skill that most people get, but fewer people seem to get right. Alton Byrd, a nature sounds hobbyist from Berkeley, California. WildeBeat Members can download an extended interview with Martyn Stewart and additional extended wild sound recordings from WildeBeat Insider web pages. 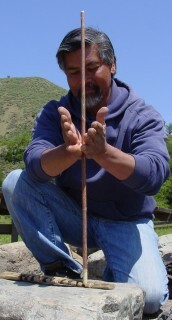 Naturalist Dino Labiste explains and demonstrates the fundamental skill of fire building. Our ancestors depended on fire as a basic survival tool as far back as a million years ago, and yet today, among many people it's becoming a lost art. Ben Lawhon, the education director for the Leave No Trace Center for Outdoor Ethics talks about minimum impact skills for making and using fires. 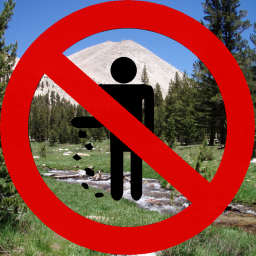 The fifth Leave No Trace principle is Minimize Campfire Impacts. The Primitive Ways website has many articles on primitive fire skills. Another source of information on primitive skills in the Society of Primitive Technologies. This skills program explains the gear you can carry to tread lightly on your favorite wild places. This is the second in a series of presentations by the Leave No Trace traveling trainers. J.D. Tanner and Emily Ressler talk about the gear you can bring along to make it easier to Leave No Trace. They talk about shoes and shelter, bags and trowels, cameras and sketch pads, lights and blankets, cans and binoculars, and radios and headphones. 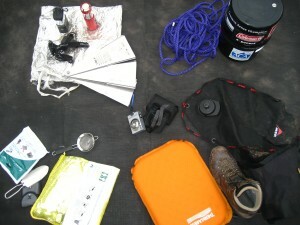 All of this gear, and more, can help you leave the wild places you visit as good or better than you found them. Specifically, Emily mentions Restop, WAG bags, and poop tubes. J.D. 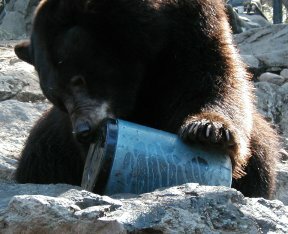 mentions bear cans, which we discussed in detail in our previous edition, Bear Cans Revisited. We'll hear more from Emily Ressler and J.D. Tanner in a future edition. The series will continue several weeks from now when J.D and Emily explain more details about a specific Leave No Trace principle. This wild places program is part two of an exploration of the situation in the Sierra Nevada wilderness areas that lead to the development of the bear-resistant food canister. (Part one is here.) Who makes these things, and how do we know they work? Allen DeForrest of Wild Ideas, manufacturer of the Bearikade. Jamie Hogan of Bear Vault. Josh Leavitt of Wilderness Solutions. Harold Werner and Calder Reid are members of the Sierra Interagency Black Bear Group (SIBBG), the standards-setting body for bear management in the major Sierra Nevada wilderness areas. Their group also performs the tests that lead to the approval of canisters for use in Yosemite National Park, Sequoia & Kings Canyon National Park, and the Inyo National Forest. Several other jurisdictions also require canisters from the SIBBG approved list. This edition was originally presented on August 31, 2006.